The SRI Foundation will soon offer educational opportunities in historic preservation to graduate and undergraduate students across the country. These opportunities will include internships and scholarships. In addition, the Foundation is working with other organizations, such as the Society for American Archaeology, to provide resources for improving curricula within universities and colleges. The SRI Foundation is pleased to announce that two Ph.D. candidates have been awarded $10,000 Dissertation Research Grants. Both recipients of the seventh annual grant competition—Ms. Caroline Gabe and Ms. Erin J. Hudson—are doctoral students within the Department of Anthropology, University of New Mexico. The purpose of the scholarship is to provide academic opportunities through which the potential of historic preservation projects can be realized. Scholars use data from one or more completed historic preservation projects to pursue a substantive research topic that forms the basis of doctoral dissertation. This research will result in: (1) new knowledge about the historic properties involved in the preservation projects, (2) new knowledge about the era, location, and people associated with these properties, (3) new knowledge that advances the practice of historic preservation policy and practice, and (4) public-oriented products that can enhance knowledge and appreciation of the past. Caroline Gabe is a doctoral candidate in Anthropology at the University of New Mexico, focusing on historic archaeology, geospatial analysis, and faunal analyses. She also is working on a graduate certificate in historic preservation and regionalism through UNM's School of Architecture and Planning. Caroline received her B.A. from the University of Michigan in 2003 with history and classical studies majors and an M.S. from the Department of Anthropology at UNM in 2006. In the past ten years, Caroline has participated in survey and excavation projects in six states (Pennsylvania, Utah, Colorado, Arizona, New Mexico, and North Dakota), as well as Belize and Ireland. Although historic archaeology is her focus, she has been involved in research projects that studied Paleoindian, Archaic, Hohokam, Puebloan, Athabaskan, and protohistoric cultures. Caroline Gabe's dissertation, Seventeenth-Century Spanish Colonial Identity in New Mexico: A Study of Identity Practices through Material Culture, uses existing museum collections to critically assess long-held assumptions about the Early Colonial mestizo population in New Mexico, as well as develop a better understanding of what (if anything) unified seventeenth-century colonizers as Spanish at a regional level. New Mexico was a unique colony in the Spanish New World. This colonizing population included Spanish settlers from diverse locations and ethnic backgrounds and is characterized by dispersed settlement patterns not found in other North American contexts. Furthermore, the New Mexican colony was the only New World colony in which there was a successful Indigenous uprising. Between the Pueblo Revolt of 1680 and the Reconquista in 1692, paper documents and other Spanish materials in the region were destroyed, leading to a more impoverished knowledge of the earliest colonial settlers. Previous studies present some basic expectations of Spanish identity during this period, but they have not been compared to a synthesized archaeological record. In order to test hypotheses tied to a mestizo Spanish colonial identity in seventeenth century New Mexico, Caroline will use materials from multiple, diverse and dispersed, archaeological sites. These assemblages are from cultural resource management and field school excavations conducted in the 1960s and 1970s. Such materials provide an excellent opportunity to bring rarely used collections to bear on big picture questions, especially in light of the general lack of historic documentation for the period under investigation. Although many projects focus on new excavations, there are extensive collections housed in museums around the world that have not been fully explored. As a part of her public outreach, Caroline will develop a digital exhibit in collaboration with the Maxwell Museum of Anthropology that will present her dissertation research. The exhibit will include general information on seventeenth century New Mexico and Cultural Resource Management projects, as well as a section that focuses on the museum collections used in her project. Erin J. Hudson is a Ph.D. candidate in Anthropology at the University of New Mexico where she studies the Native American Graves Protection Act (NAGPRA) and how federal agencies apply the law. Erin knew she wanted to be an archaeologist from a young age and to pursue that goal she entered the University of Colorado at Boulder in 1999 intent on receiving a degree in anthropology. She graduated in 2001 thinking she would go straight to graduate school but quickly learned that she wasn't sure what she wanted to research. Instead, Erin spent a year as a shovel bum before going to graduate school at Georgia State University to study outlier sites related to Chaco Canyon. 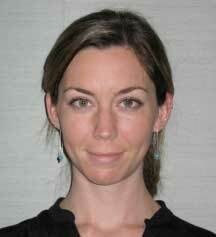 She graduated with her M.A in Anthropology in 2005 and moved to New Mexico to start work on her Ph.D. 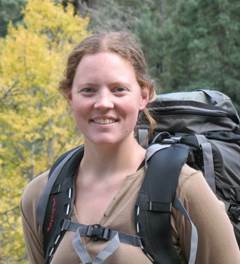 Along the way she completed a second M.A in anthropology and landed a full time job with the Forest Service. Although Erin identified NAGPRA as her dissertation topic early in her tenure at UNM, it was during her time as a federal archaeologist that she found her true calling in archaeology. Erin specializes in National Historic Preservation Act (NHPA), Section 106 compliance, the assessment of effects of federal projects on cultural resources, and the integration of National Environmental Policy Act analyses and NHPA compliance. After eight years with the federal government, Erin resigned to focus on finishing her Ph.D. research. Her dissertation, titled The Past in the Present: Federal Determinations of Cultural Affiliation and Implications for the Practice of Archaeology, examines how different federal agencies in two geographic areas go through the process of determining cultural affiliation, as required by NAGPRA. The goals of her research are to: (1) identify the processes and lines of evidence used by federal agencies to determine cultural affiliation, (2) examine variability in the processes and investigate why variability occurs, (3) generate recommendations for successfully completing determinations, and (4) understand how these determination have impacted or continue to impact the practice of archaeology. Among her public outreach efforts, Erin will create a NAGPRA website for a general audience with materials (for example, an informational brochure, her dissertation, and a PowerPoint presentation) that can be downloaded for use by agencies, tribal communities, and the public. She also will include a blog on the website to post information about recent actions involving NAGPRA, with appropriate links, and respond to questions from the public. 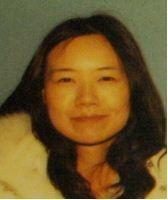 Chiao-Yen Yang successfully defended her University of Washington dissertation in the Spring of 2014. Her College of Built Environments dissertation is entitled, Cultural Resilience in Asia: A Comparative Study of Heritage Conservation in Lijiang and Bagan. Chiao-Yen's research examined how UNESCO's international guidelines for World Heritage (WH) sites influenced the historic preservation practices in Lijiang, China versus heritage conservation practices in Bagan, Burma. Using a cultural resilience perspective, she studied the cultural states of these two internationally famous cultural heritage resources. Chiao-Yen analyzed institutional preservation policies and the impact of contrasting policies on heritage resources and local communities. She also investigated how understanding the adaptation of local cultural practices and resilience can contribute to new practices in historic preservation in Asia, including extant practices of UNESCO and other international organizations. She found that the UNESCO WH site of Lijiang was in a degraded to decoupled cultural state whereas the non-WH site of Bagan was in a healthier but degraded cultural state with some continuity of local cultural practices. Based on her public outreach efforts with a variety of stakeholders (locals, professional preservationists, government officials), Chiao-Yen suggests that a paradigm shift is needed in heritage conservation in Asia. Specifically, the new approach needs to re-establish and protect the connections between built environment and local cultural practices, respect traditional local practices, account for local adaptation to changes, and enable democratic participation of local communities in preservation policies and practices. Chiao-Yen currently resides in Taiwan and is pursuing her interests in community development, urban planning, environmental laws and policy and cultural preservation and development in ethnic communities. Terry Peterkin Brock defended his Michigan State University—"We All Walked Together": The Transition from Slavery to Freedom on a Nineteenth-Century Maryland Plantation—in May 2014. 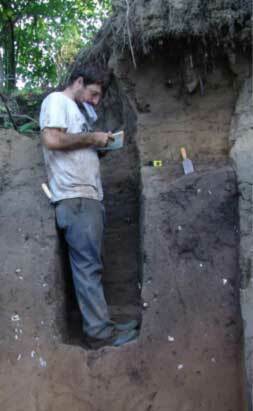 Using census records, historical documentation, artifacts, survey and excavation data, and oral interview, he examined how the material culture of enslaved laborers at Historic St Mary's City reflected the transition from slavery to freedom and how their actions before and after Emancipation resulted in establishing places where families and communities maintained their identity in the face of oppression. As part of his research, Terry created an attractive and effective on-line exhibit, social network, and blog entitled, We All Walked Together. Terry is currently a Research Archaeologist with the Montpelier Foundation, which is the plantation home of James Madison, fourth president of the United States. He continues to conduct research and participates in a variety of public outreach projects and programs. Elsbeth L. Dowd successfully defended her dissertation—The Mountain Fork Caddo: Subsistence and Sociopolitical Dynamics—in April of 2012. Immediately after her defense, she was hired as the Archaeological Collections Manager for Sam Noble Museum at the University of Oklahoma and in June 2013 was promoted to be the Museum Registrar. Elsbeth's dissertation research examined the archaeological history of communities living along the Mountain Fork River from ad 1200-1600 to better understand the relationships between sociopolitical dynamics, ceremonial practices, and maize production. Her research suggests that the Mountain Fork communities encompassed an integrated but nonhierarchial political entity characterized by decentralized leadership, in which maize was cultivated primarily for household consumption. Elsbeth recently developed a traveling exhibit to increase public understanding of both Caddo heritage and of archaeological methods. She hopes it also will promote archaeological stewardship by emphasizing continuities from the past to the present. The exhibit focused on food, home, and social life. Community consultation, particularly with the Caddo, was an integral aspect of exhibit development. Elsbeth's exhibit was accompanied by public presentations, handouts, and pamphlets for local libraries and schools. The exhibit will be displayed at multiple locations in southeastern Oklahoma before heading to central Oklahoma, where it will find a permanent home with the Caddo Heritage Museum. D. Shane Miller defended his University of Arizona dissertation in the spring of 2014. The research entitled, From Colonization to Domestication: A Historical Ecological Analysis of Paleoindian and Archaic Subsistence and Landscape Use in Central Tennessee, seeks to understand how prehistoric hunter-gatherers were able to successfully colonize this area and adapt to subsequent climate change during the late Pleistocene through mid-Holocene time periods. In particular, Shane examined the trajectory in prehistoric subsistence that led to the domestication of indigenous plants, such as goosefoot and maygrass, roughly 5,000 calendar years ago. To data, Shane has used analyses of his research as the basis for multiple conference papers and public lectures. He has plans to communicate his results through peer-reviewed journal articles, public lectures, and a publication written for a general audience. Shane is currently an Assistant Professor of Anthropology and Middle Eastern Cultures at Mississippi State University in Starkville, Mississippi. He is also co-director, along with David G. Anderson and Tom Pertierra, of the Bells Bend Archaeological Project, which is a component of the University of Tennessee Cumberland River/Midsouth Paleoindian Project. Kelly L. Jenks defended her University of Arizona dissertation in April 2011. It is entitled, Vecinos en la Frontera: Interaction, Adaptation, and Identity at San Miguel del Vado, New Mexico. Based on archaeological fieldwork and archival research, Kelly argued that identities are forged through interaction as people simultaneously seek to distinguish themselves from—and are influenced by—other populations. In the late eighteenth century, Hispanic New Mexicans began to self-identify as vecinos (literally, “neighbors”). This term is a civic social category rather than an ethnic term, and it characterizes individuals as residents and members of a Hispanic corporate community. Kelly described how frontier interactions shaped vecino identity and interpreted her understandings within a framework derived from theories of cultural contact, identity, and practice. Kelly currently is transforming her dissertation into a series of professional peer-reviewed articles and articles in public-oriented magazines and newspapers. The most recent article to be published was entitled, Building Community: Exploring Civil Identity in Hispanic New Mexico in a 2013 Journal of Social Archaeology and a chapter in a forthcoming University of Colorado Press book tentatively entitled, Transformations during the Colonial Era: Divergent Histories in the American Southwest, edited by John G. Douglass and William M. Graves. Kelly has also presented her dissertation and subsequent research as numerous conference presentations and public lectures. She also is developing graphic media to share her research results with community members in San Miguel, possibly displayed at nearby Pecos National Historical Park. Kelly is an Assistant Professor of Historical Archaeology in the Anthropology Department and Gender and Women's Studies Program at Fort Lewis College, Durango, Colorado. Lori Lee is making excellent progress with her Syracuse University dissertation research, Consumerism, Social Relations, and Slavery at Antebellum Popular Forest 1828-1865. Her goal is to understand how social, cultural, and economic changes impacted the lives of enslaved laborers during the antebellum period in rural Virginia using a historic archeology approach. The results of Lee's research have already been incorporated into printed booklets, a permanent exhibit, and docent guidelines at one of Thomas Jefferson's homes—Popular Forest—that is now a historic house museum. Lori already has written several peer-reviewed articles and book chapters concerning her topic. Most recently, she authored two chapters of a 2012 University Press of Florida book entitled, Jefferson's Poplar Forest: Unearthing a Virginia Plantation, edited by Barbara Heath and Jack Gary. Lori was the Ainsworth Visiting Professor American Culture at Randolph College in Lynchburg, Virginia from 2012 through June 2014. Lori has been involved in a long-term research project Engaging the Piedmont: Transition in Virginia Slavery 1730-1790 http://web.utk.edu/~bheath2/ and developed a successful multidisciplinary three-day conference at Randolph College, Facing the Past, Freeing the Future: Slavery's Legacy, Freedom's Promise http://web.randolphcollege.edu/slaverysymposium. 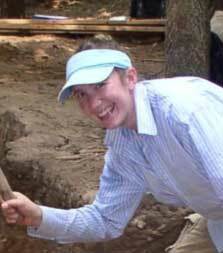 In January of 2014, Lori was named Professional Archaeologist of the Year by the Archaeological Society of Virginia. Currently, Lori is an Assistant Professor within the Department of Anthropology at Flagler College in Saint Augustine, Florida. She will defend her dissertation research in the autumn of 2014. Dorothy Larson defended her University of New Mexico dissertation in Spring 2013. It is entitled, Albuquerque, the Frontier: Exploring Interaction and Cultural Identity in the Albuquerque Area during the Late Developmental to Coalition Period Transition. She also received funding from the National Science Foundation to conduct her ceramic INAA and petrofacies studies and develop public outreach products. In the summer of 2010, Dorothy developed and delivered one of her public outreach products—a six-week summer enrichment program for high school students in the Albuquerque public school system through its Mathematics, Engineering, and Science Achievement (MESA) program. Through hands-on learning, on-line curricula, analysis of archaeological materials, and other teaching methods, Dorothy created a context for a real-world application of science to inspire secondary school students and their teachers. She hopes to deliver additional programs for high school students from Acoma and Laguna in the near future. Dorothy currently is the Data Manager and NAGPRA Coordinator for the Maxwell Museum of Anthropology, University of New Mexico in Albuquerque. She has plans to develop an exhibit and a website targeting middle school- to high school-age students that demonstrate how archaeologists employ the scientific method and use techniques from the physical sciences to learn about the past. 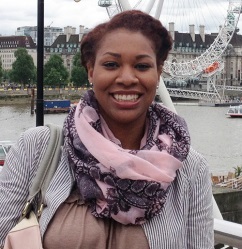 Tara Dudley successfully defended her dissertation in November 2012. Her University of Texas at Austin dissertation research is entitled, Entrepreneurship, Ownership, and Identity: The Gens de Couleur Libres and the Architecture of Antebellum New Orleans, 1830-1850. She examined the architectural activities of New Orleans's gens de couleur libres or free people of color, their influence on the physical growth of New Orleans, and the implications—historical, cultural, and economic—of their contributions to 19th-century American architecture as builders, developers, and property owners. Tara's research revealed that a unique group of people (the gens de couleur libres builders and their patrons), building in a specific time and place, set standards within and without predominantly black Creole communities. Their activities informed the types of economic endeavors suitable for black Creoles and allowed the persistence of Francophone culture in the wake of Americanization. Tara used a case-study approach based on specific families to understand their professional motivations and their influence in creating a specific ethnic and architectural identity in antebellum New Orleans. In 2011, she was the recipient of the prestigious Carter Manny Award for dissertation writing from the Graham Foundation http://www.grahamfoundation.org/grantees/4034-ownership-entrepreneurship-and-identity-the-gens-de-couleur-libres-and-the-architecture-of-antebellum-new-orleans-1830-1850. Tara is an Architectural Historian for Hardy Heck Moore, Inc.—an Austin, Texas-based architecture and planning firm. Currently, she is working with Louisiana State University Libraries Special Collections to undertake a digitized archival project related to the free people of color and hopes to develop an online exhibit discussing her research. Kojun "Jun" U. Sunseri defended his University of California at Santa Cruz dissertation in June 2009. He held a post-doctoral position at the University of California (UC)-Berkeley between 2009 and 2011 and accepted an Assistant Professorship in the Department of Anthropology, UC-Berkeley beginning in August 2011 where he continues to work. Jun's 2009 dissertation is entitled, Nowhere to Run, Everywhere to Hide: Multi-Scalar Identity Practices at Casitas Viejas. Jun used archaeological analyses of foodways and cultural landscape creation to explore how hidden dimensions of multiculturalism on the 18th-century northern frontier of Spanish Colonial New Mexico were expressed in the material remains. He was able to document that cultural heritage was not a fixed identity but rather a situational identity used to defuse dangerous situations or unstable conditions. Jun has spent time in northern New Mexico working with the elementary, middle, and high schools within the Mesa Vista Consolidated District to undertake the educational outreach projects he detailed in his proposal. These projects included the development and delivery of lesson plans, construction of archaeological teaching kits, holding school field trips at the ancestral village of Casitas Viejas, involving local community members in an archaeological field school at Pueblo de Abiquiú, and preparing a proposal for teaching training at the El Rito campus of Northern New Mexico Community College. Jun published some of his dissertation research within a chapter of a 2010 Plenum book entitled, Archaeology and Preservation of Gendered Landscapes, edited by Sherene Baugher and Suzanne Spencer-Wood. Amber Wiley successfully defended her dissertation research in March 2011. Her George Washington University dissertation was entitled, Concrete Solutions: Architecture of Public High Schools during the "Urban Crisis." Amber documented the creation of fortified, yet innovative, high schools designed between 1960-1980 in Atlanta, Philadelphia, and Washington, D.C. The striking designs—avante-garde in materials, scale, and programming—are testaments to the ideals of reform in cities that were battling the damaging effects of suburbanization, unrest, and riots. She analyzed these public buildings within a larger context that considered educational policy, urban history, architectural traditions, and community politics in order to develop principles concerning the linked goals of school-building maintenance and heritage preservation. Amber was a Visiting Assistant Professor at the Tulane School of Architecture in New Orleans from 2011 to 2014. Amber taught several architectural history and architectural preservation courses at Tulane, published numerous articles, and frequently delivered professional presentations and public lectures. Amber's public outreach project, which describes the results of her dissertation research, may be found at https://sites.google.com/site/concretesolutionsarch/. In the spring of 2014, Amber was awarded the first H. Allen Brock Traveling Fellowship from the Society of Architectural Historians. She will be traveling to Mexico, Guatemala, Ghana, Ethiopia, India, and Vietnam between June 2014 and May 2015 to study architecture and its social, economic, and political connections. 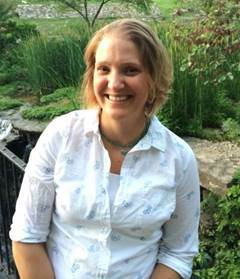 Upon return she will be an Assistant Professor of American Studies at Skidmore College in Saratoga Springs, New York. Amber's blog, http://monumentalmundanemoments.wordpress.com/, is a fascinating account of her travels and impressions. 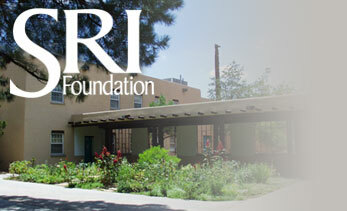 Mark A. Hill was the single recipient of the first SRI Foundation Research Scholarship in 2007. Mark defended his dissertation in April 2009 and is now an Assistant Professor in the Department of Anthropology at Ball State University in Muncie, Indiana, and Director of its Archaeological Resource Management Program. 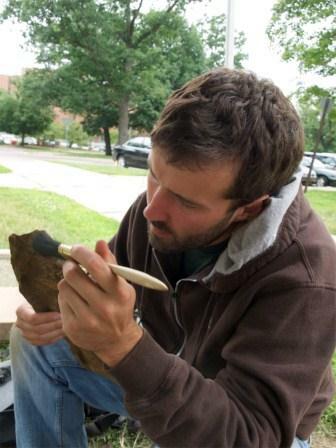 His 2009 Washington State University dissertation is entitled, The Benefit of the Gift: Exchange and Social Interaction in the Late Archaic Western Great Lakes. Mark developed a sophisticated exchange model guided by evolutionary theory on cooperative behavior for Late Archaic foraging societies using data from multiple archaeological sites in the region. Mark is working on his public-oriented products, which include interpretive products for the Ottawa National Forest and a booklet that describes the Duck Lake Site and the copper trade in ancient North American societie's journal, American Antiquity 77(2).